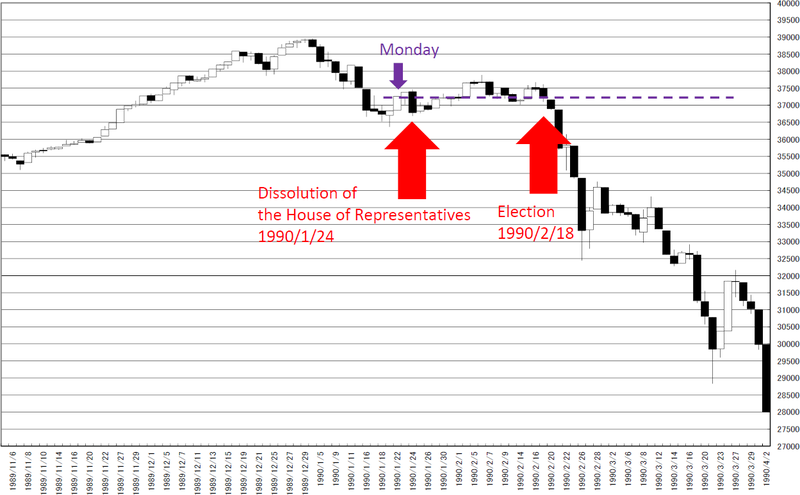 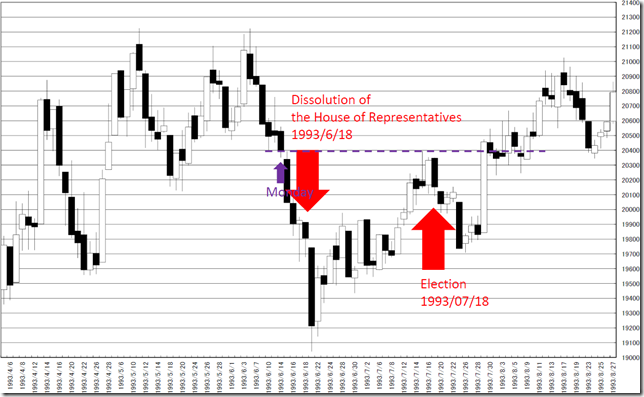 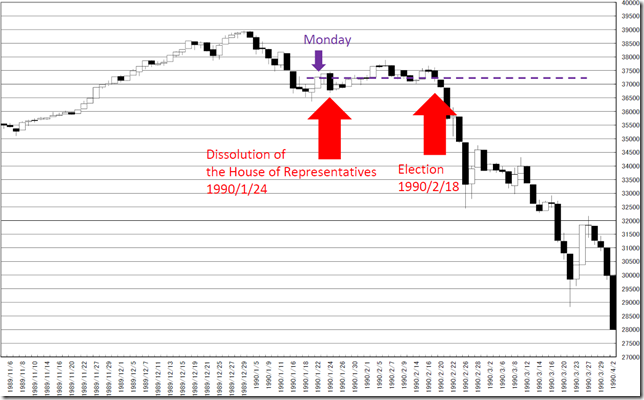 NIKKEI 225; A big fall in 1990’s was started from after lower house election. We do not know dissolution will come true or not but need to estimate. 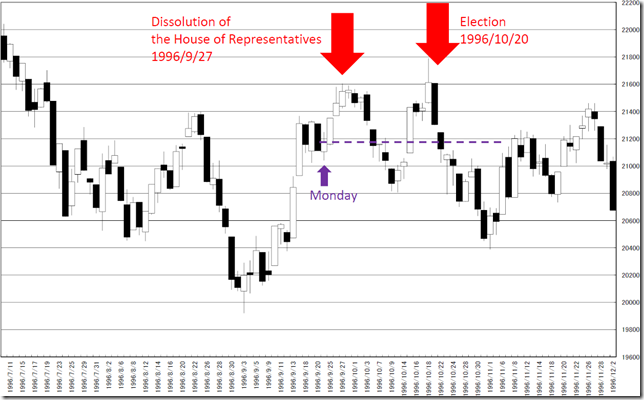 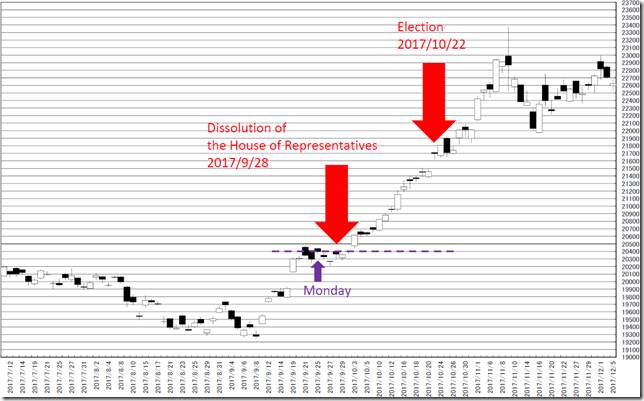 Our conclusion is when dissolution of the House of Representatives was held, the close price in Monday worked as resistance and support. 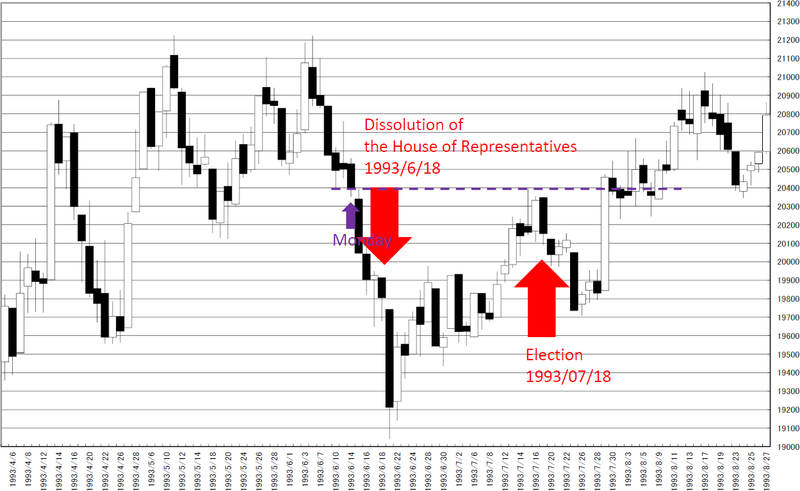 We need to remind a big fall in 1990’s was started from after lower house election. 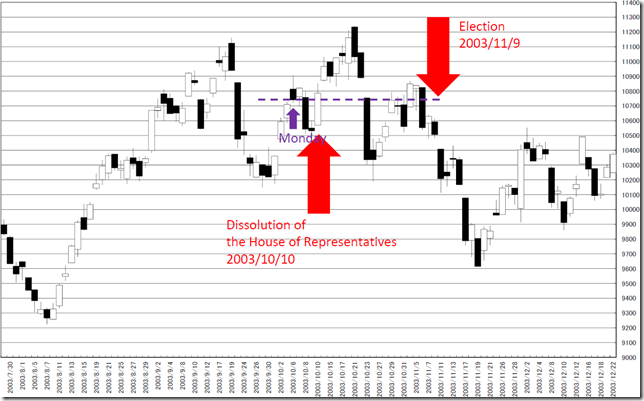 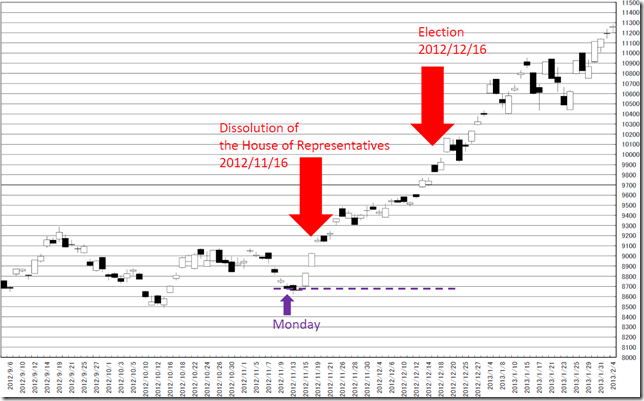 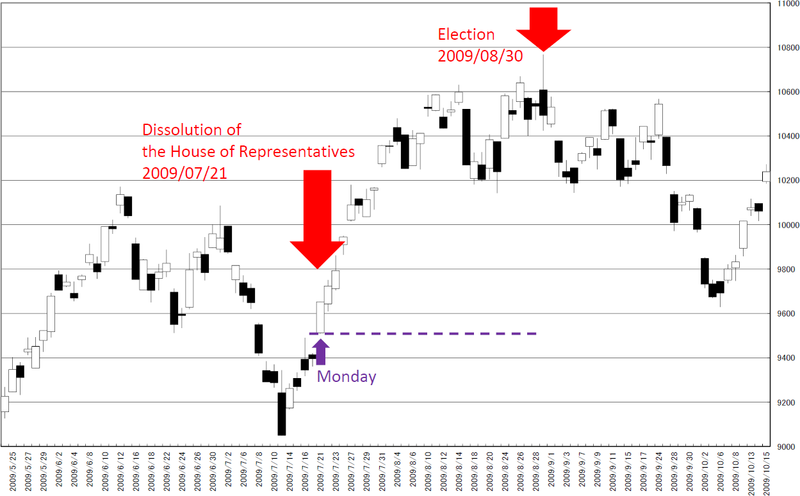 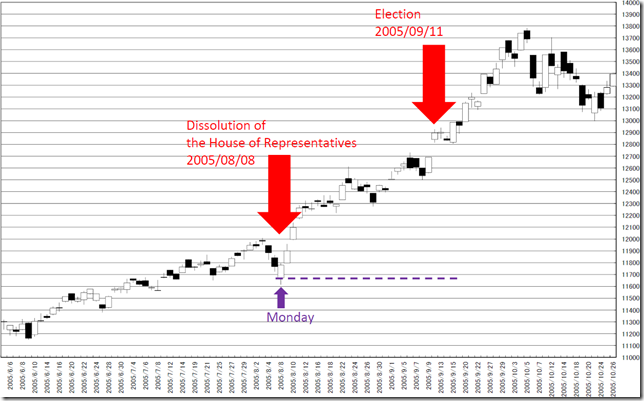 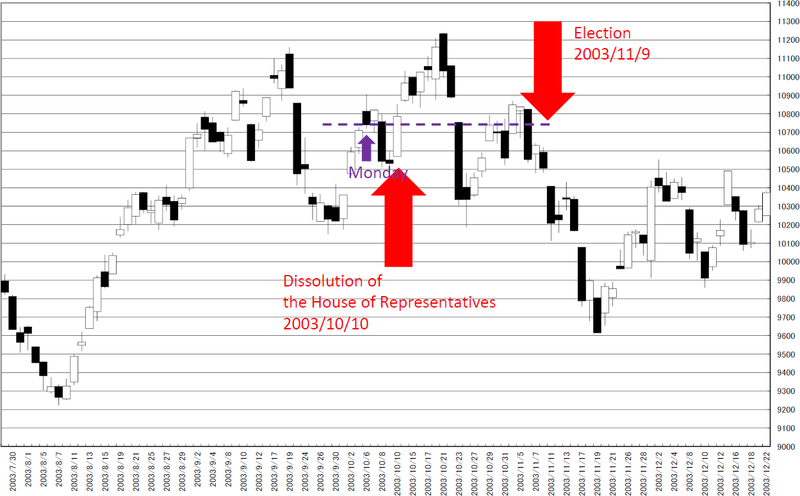 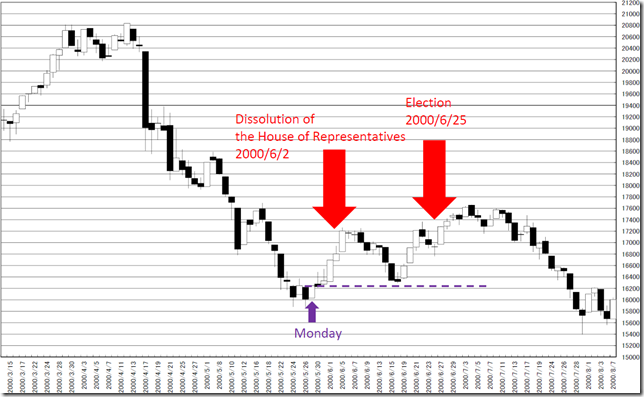 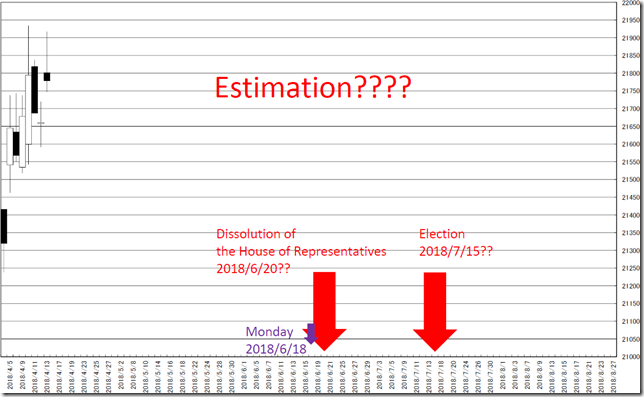 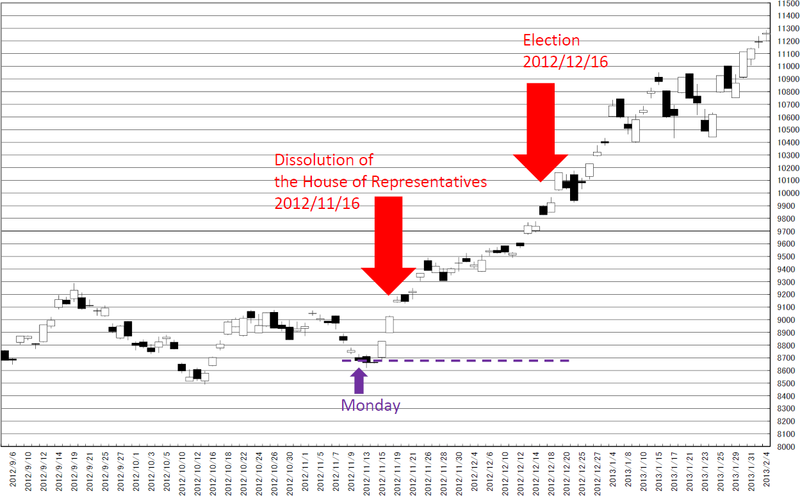 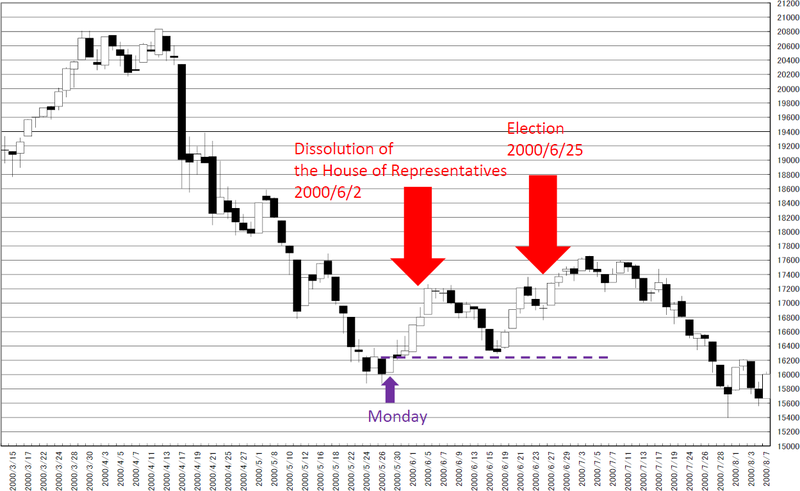 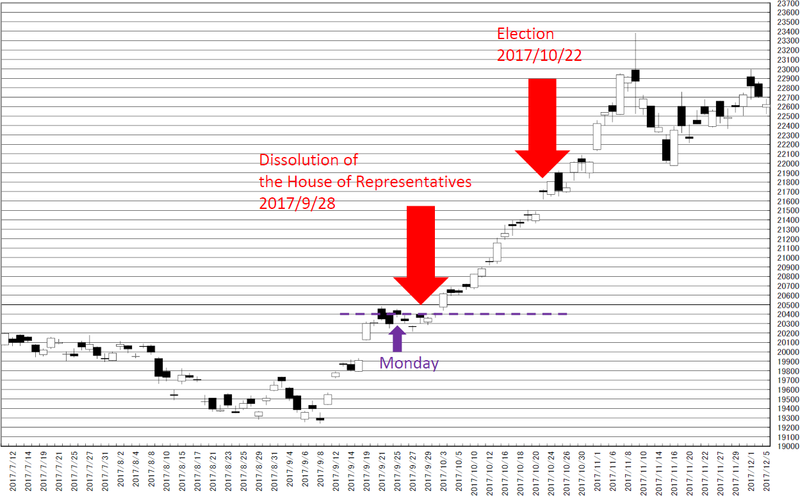 These are charts are the relation between Japanese dissolution of the House of Representatives and election and N225. 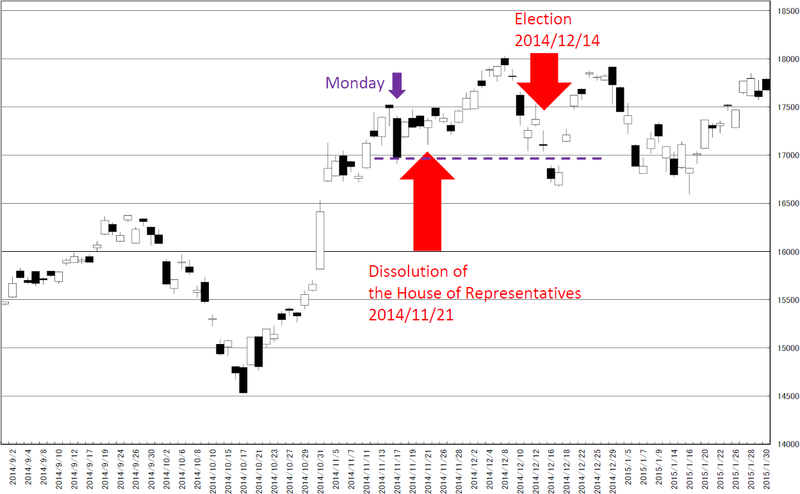 If bullish trend starts after dissolution, we can be bullish. 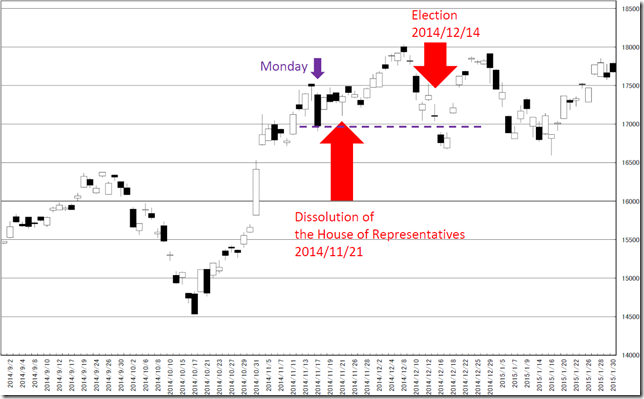 And Monday close price in dissolution week worked as resistance and support.